If you employ workers, chances are good that your business is subject to a number of labor laws enacted by the United States Department of Labor as well as the California Department of Industrial Relations. Failure to comply with these labor laws can cause a lot more than disgruntled workers; non-compliance can result in sanctions by the federal or state government and/or potential legal actions from employees to recover damages. Business owners are often not aware that they are violating the law until it is too late and they are facing costly legal consequences. The best way to preemptively avoid any labor law dispute is to consult with an experienced employment law attorney to ensure all of your policies and practices are in line with the law. 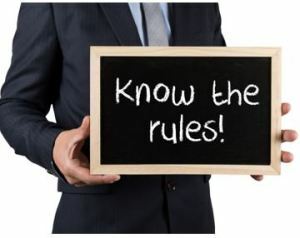 As you can see, there are a number of requirements under the law for businesses with employees and it is often easy to lose track of all of the laws or new updates to the law. Claiming ignorance will often not help to protect you from the penalties that may result from violation of labor laws. Each exemption has specific requirements and you must ensure that you have correctly classified an employee for an exemption to apply. Mis-classification exposes you to governmental penalties and lawsuits brought by your employees. If you have any questions regarding labor law compliance, exemptions, or any other employment law matter, the attorneys at Structure Law Group in San Jose can provide answers and guidance. Please feel free to call our office today at (408) 441-7500 for assistance.